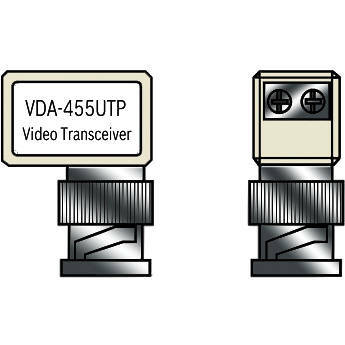 The Bosch VDA455UTP BNC to UTP Transceiver Module is compatible with Bosch's VDM-3x5 and VDC-4x5 series of dome cameras. This transceiver module converts the BNC/Coaxial output to UTP output, and thus enables the transmission of composite video signals over Cat5/5e/6 UTP cabling. Box Dimensions (LxWxH) 3.4 x 1.2 x 0.5"